Cullys is one of Australia most experienced Electrical/Electronic Defence Specialists with Naval Technicians and engineering resources operating within Australia’s defence industry. 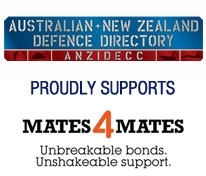 MPower is an accredited supplier to the Defence Department providing integrated power solutions and products. We have vast capabilities in design, manufacturing, installation and service of power generation equipment for military applications. Penske Power Systems is a leading distributor of the world’s finest diesel and gas engines and power systems, operating across Australia and New Zealand. A J Distributors has been reliably providing defence and aerospace applications across Australia, New Zealand and Oceania since 1980. Energy Power Systems Australia's (EPSA) national Marine Excellence Centre (MEC) provides the full range of Cat® propulsion engines as well as integrated propulsion and power generation solutions to meet the requirements of your next project.